Nader Khan & The Blacksmiths will be joining MNG – Minhaj Naat Group and The Travellers – Al Musafirun. 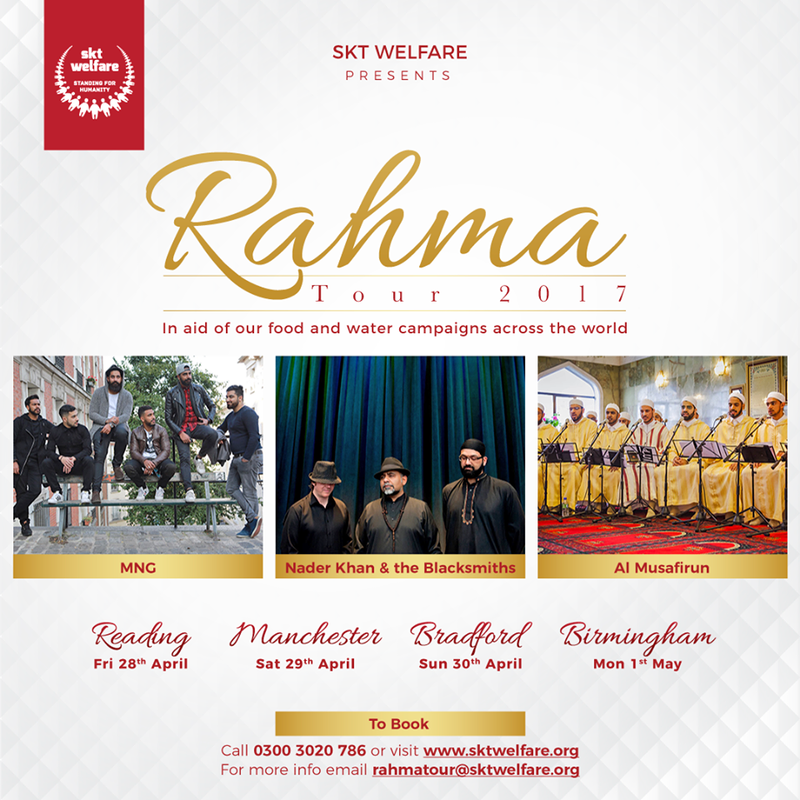 The tour goes through #Reading – Apr 28 #Manchester – Apr 29 #Bradford – Apr 30 #Birmingham – May 1. Follow the tour for 4 nights of sublime zikr across the country, and help us raise money for those who need it the most. Last year on SKT’s #GrandBurdaTour2016 we raised just over £500K. Let’s beat that this year. #Fatiha!